Saturday Sept 14 it is show day. No time to work, just updating the web with a Spielberg live thread, reading through e-mail, then getting the rental car, which is the only way I can get to the show. All other options are sold out, like shuttle, train, and I need to be on a flight back home tomorrow, so I have to stay in Graz. 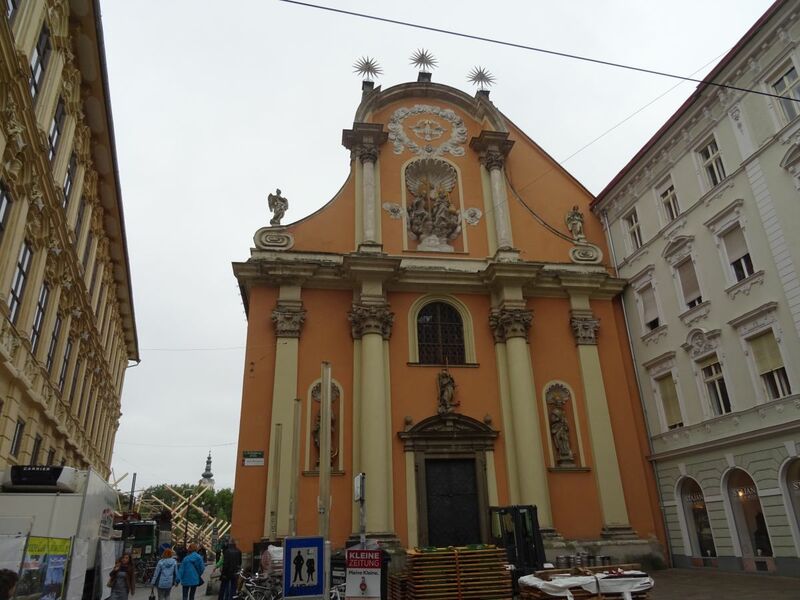 I have two hours around noon set aside to walk all over Graz, it is a beautiful city, and I get to see most parts of it. If I know I would walk for hours later on today, then may be I had saved a bit on the tourist walking, but some times you don’t know what the rest of the day will bring you. I know I can’t drive to the show, then I will be stuck out there all night, so I plan for driving to a train station location 7-8 km i.e. five miles away from the show, then taking a shuttle there. 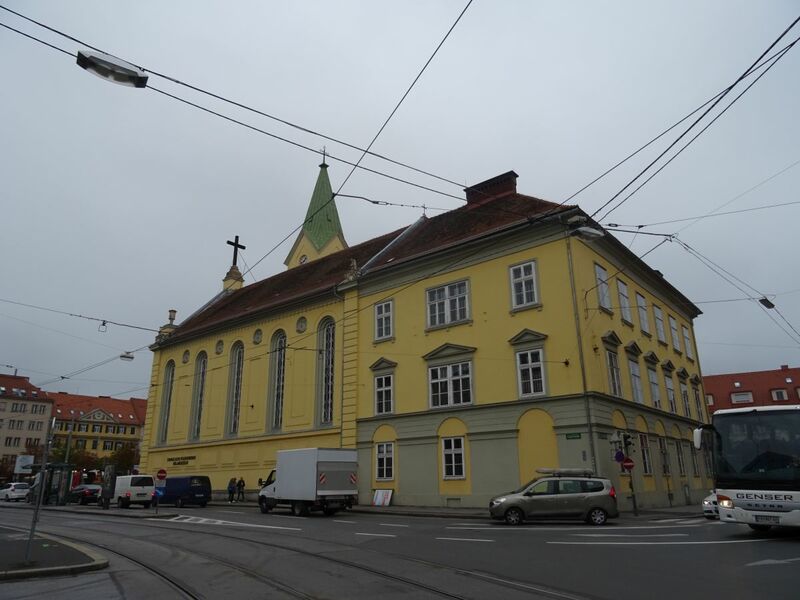 I book my shuttle ticket online and start driving from Graz early afternoon. 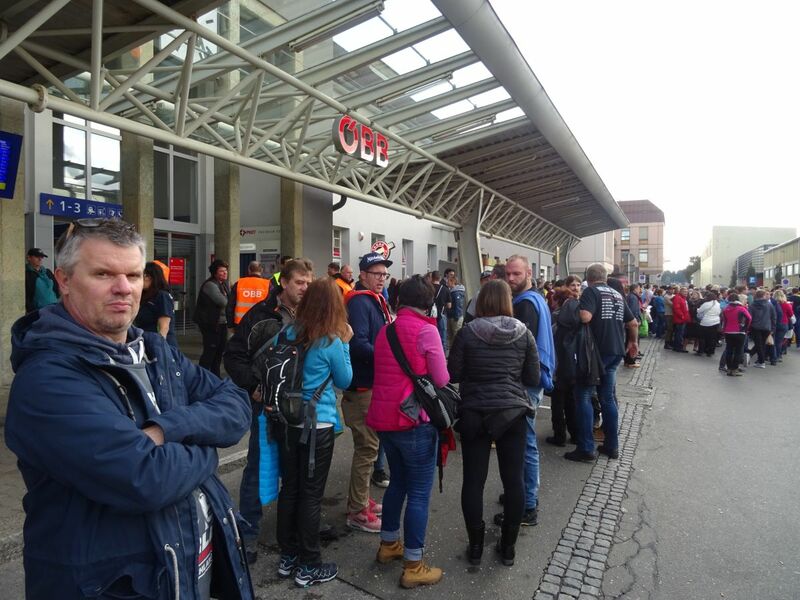 There are queues and worries, but finally I arrive to the shuttle and train station at 5pm. There are several hundred fans at the station waiting for a shuttle, but no shuttles arriving in the 40 minutes I am waiting. 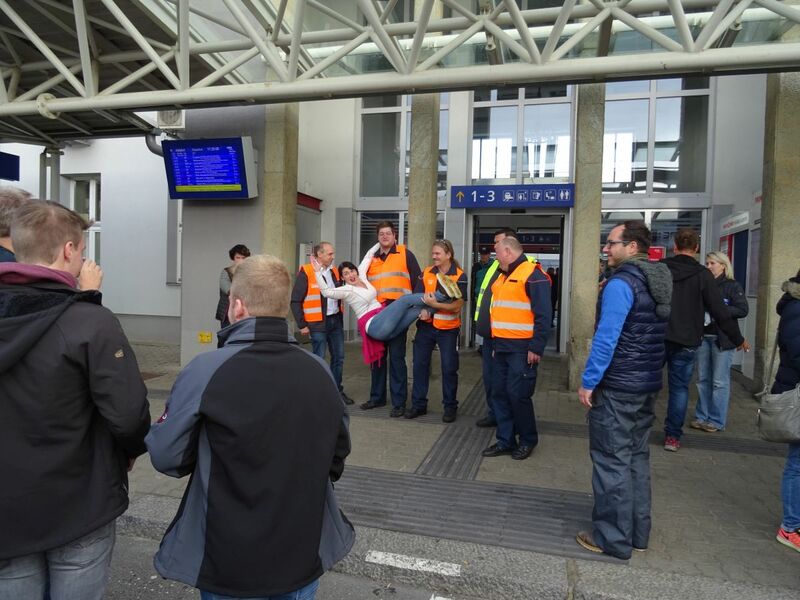 Then the police start talking in German language, they say we have to walk, the shuttle transportation is stuck in traffic. So we start walking. 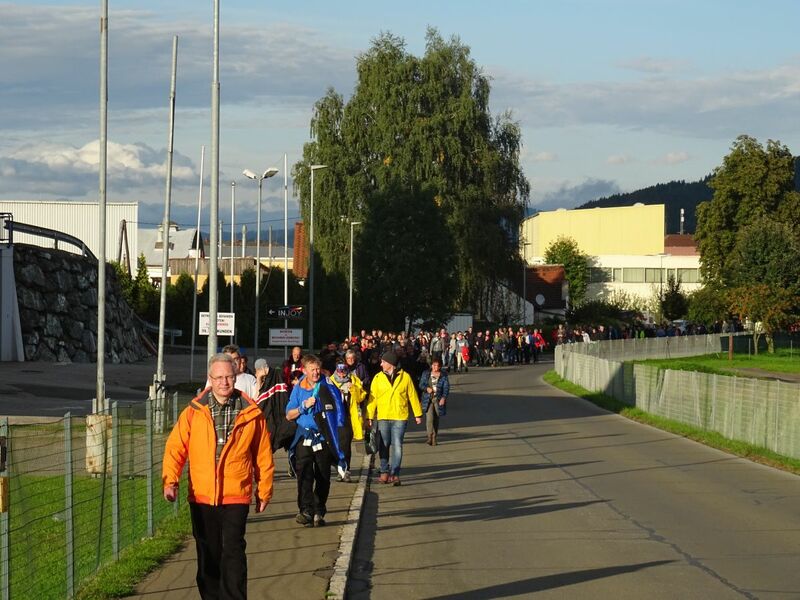 We are hundreds of fans and we walk. One and a half hour later I see the stage. There is mud everywhere. I circle the area to get to the entrance, then some queuing up. 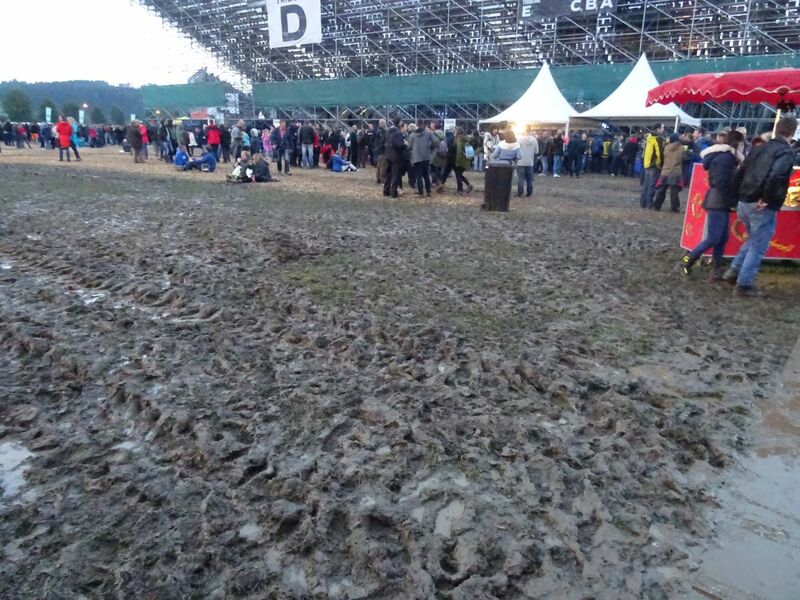 There is mud everywhere. I am by the stage area at 7:20 and finally I can rest a bit. I am thursty and hungry and get some junkfood and drinks. Within half an hour I feel better and I am ready for rock’n’roll. 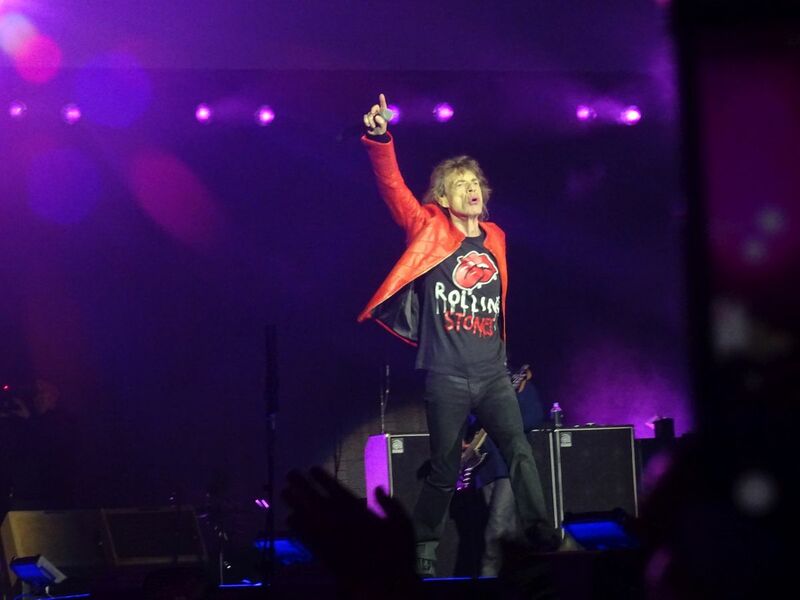 Less than an hour later, at 8:44pm, The Rolling Stones are on stage. 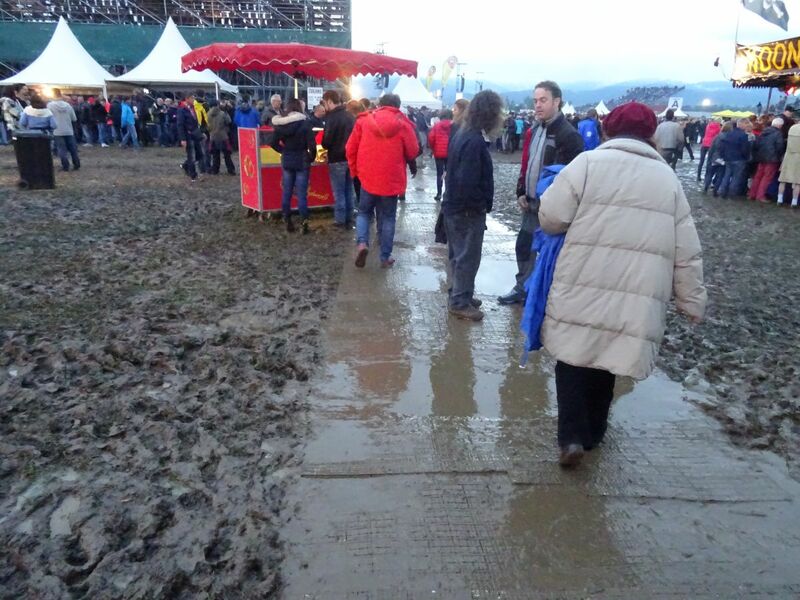 I wonder how many are still out there walking to the show, or waiting for the shuttle, or struggling with the mud… It is a hazzle, indeed, but once the Stones are on stage, it is all forgotten, as always. “She’s A Rainbow” was long and beautiful. I enjoyed every bit of it. 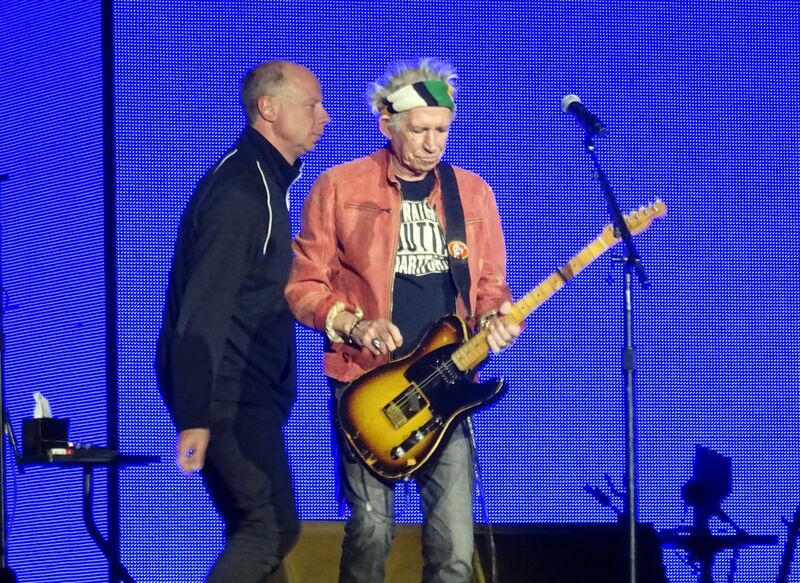 Keith walked over to Chuck for a while. 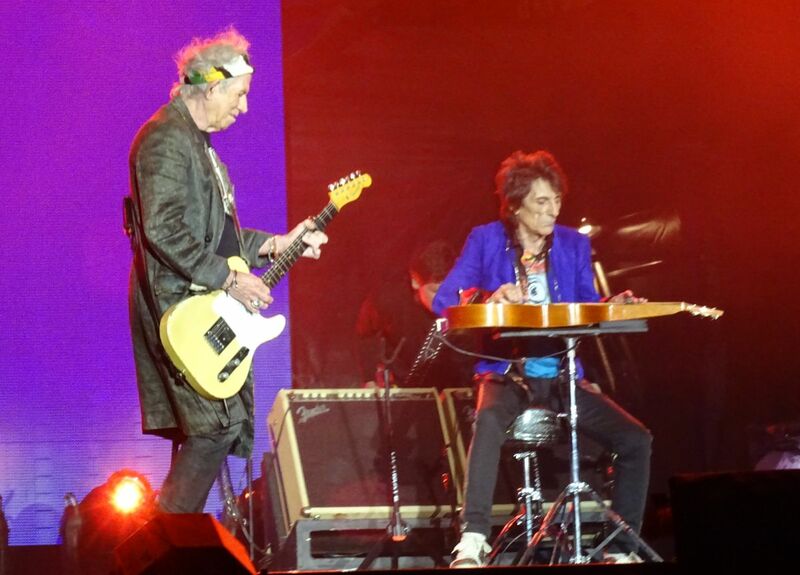 Mick had his acoustic guitar so he was “parked” at the center stage for a change. At the end of the song Mick wanted to hold on to the acoustic guirat, because he planned to use it also on the next song, but his guitar technician asked him to hand it over, with a big smile. Another acoustic guitar was there for “You Can’t Always Get What You Want”. 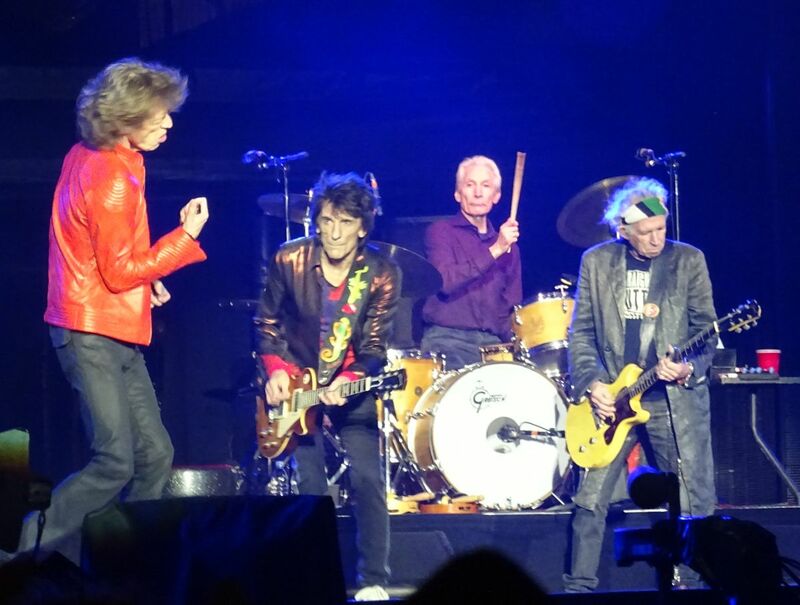 “Paint It Black” was Keith Richards up front starting up the song. Beautiful and perfect for me. Then Mick took over, with the rest of the band. 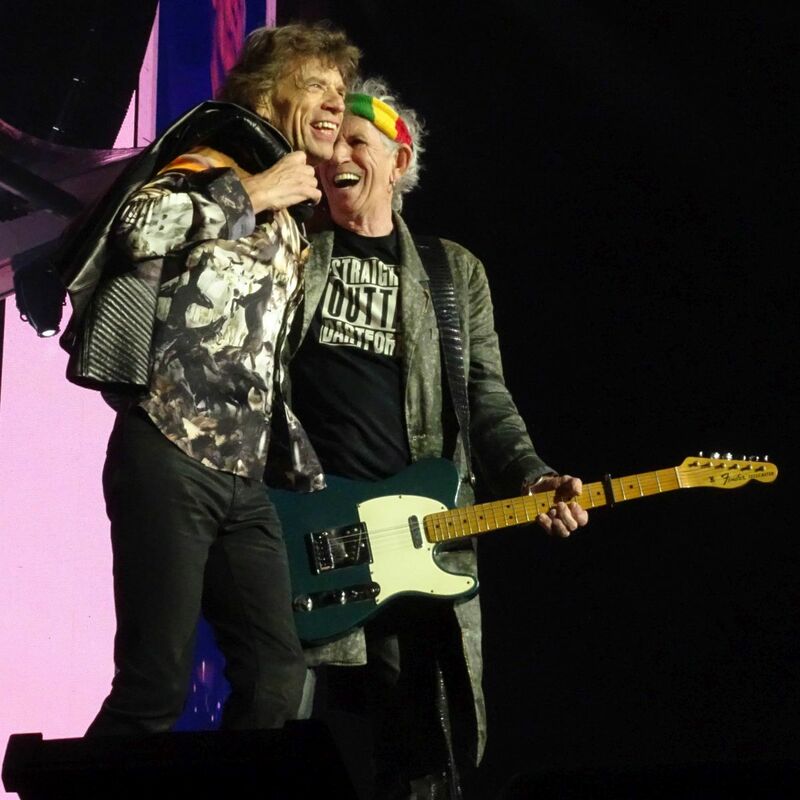 At the end of “Jumping Jack Flash” I see Mick and Keith together arm in arm on the stage front, smiling, having their own shared moment of satisfaction. You don’t see these moments if you listen to youtube clips from the shows, but I have them kept in my memory for life, and luckily Hauke Jürgensen made a photo of this great moment, so that it can be shared with everyone on these pages, as you see in these reports pictures. I had been in my own “Stones World” for two hours ten minutes. 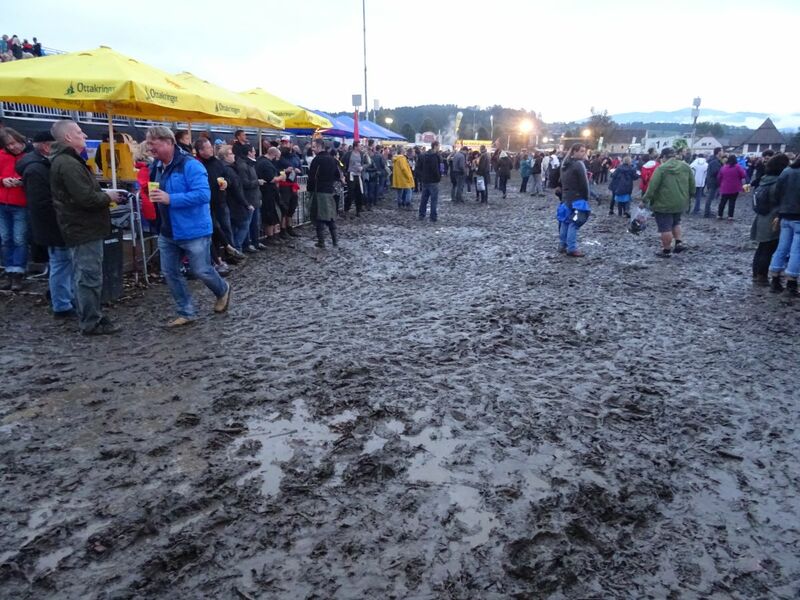 As the final bow was over, I was back to my mud reality in Spielberg. I met some friends, picked up the set list, used one of the socalled emergency exits, which they probably did not plan to use, and started walking around 11:30pm. By 1am I was in my car, and by 2:25am I was in my hotel room. The mud was up to my knees, so I washed the pants and my shoes, having got no extras on this short travel. 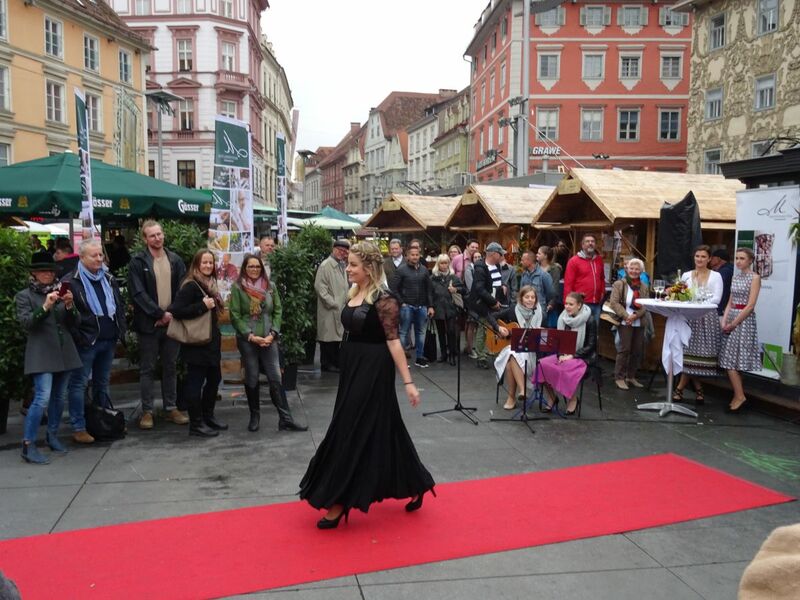 Tomorrow I will be home, then Tuesday evening I am heading for show number four in Zurich Switzerland. I have said it before and I have said it again. There may be pain involved in seing the Stones these days. We are getting older, they are getting older. But it is all worth it. 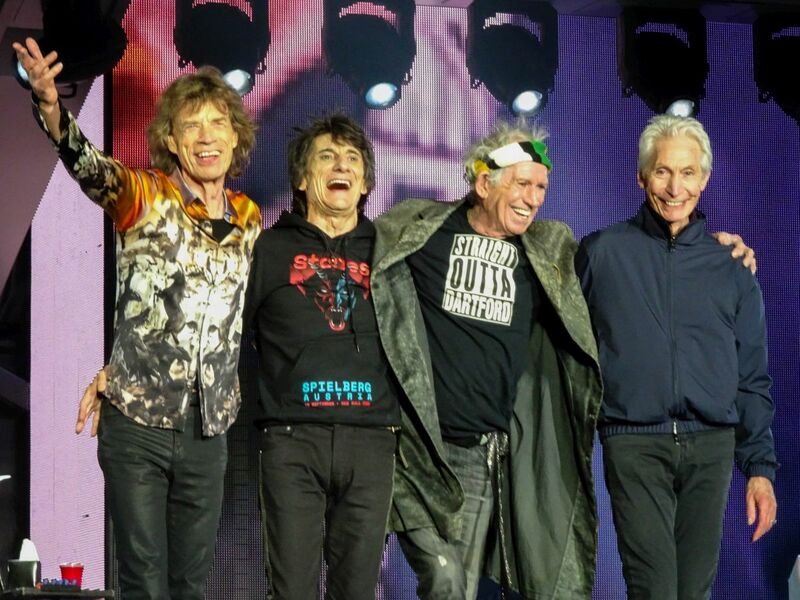 They are so great, and there were more than 100,000 fans walking next to me with smiles on their faces as we had the long walks back to our reality outside Stonesland.